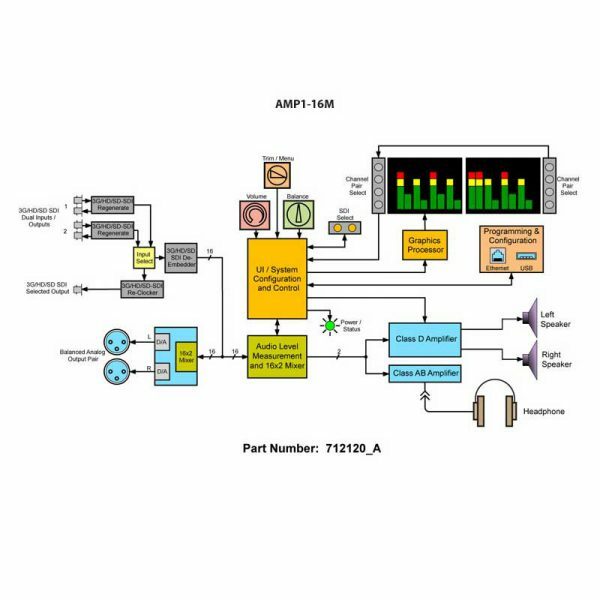 The AMP1-16-M offers fast, intuitive operation for monitoring SDI audio in the most demanding production applications. 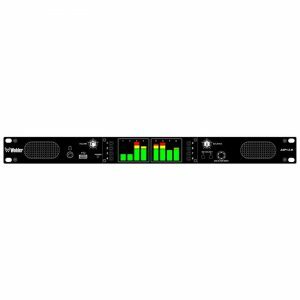 Whether in the studio or on the road, the AMP1-16M provides instantaneous selection and summing of any grouping of SDI audio pairs. 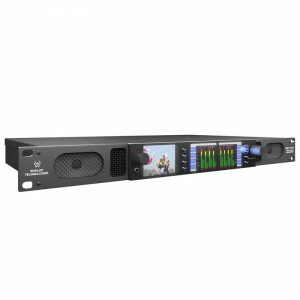 It features adjustable volume and balance controls, clear display of levels, and phase indications on bright 2.4″ LED-backlit LCD displays, with configurations that can be created, saved and recalled via Ethernet connection using an intuitive PC interface.